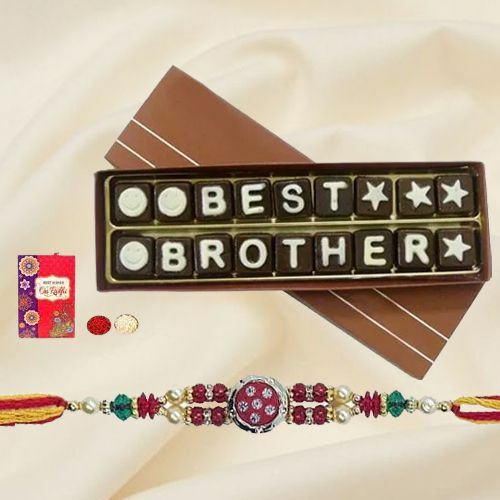 Order online from miles away from home, on the occasion of Raksha Bandhan, this Attractive Rakhi and Best Brother Chocolate Pack which comes with a free Rakhi, Roli Tilak and Chawal to make your prayers felt by your dear ones. this 18 pcs. fine Chocolates is sure to conquer your brother's heart.